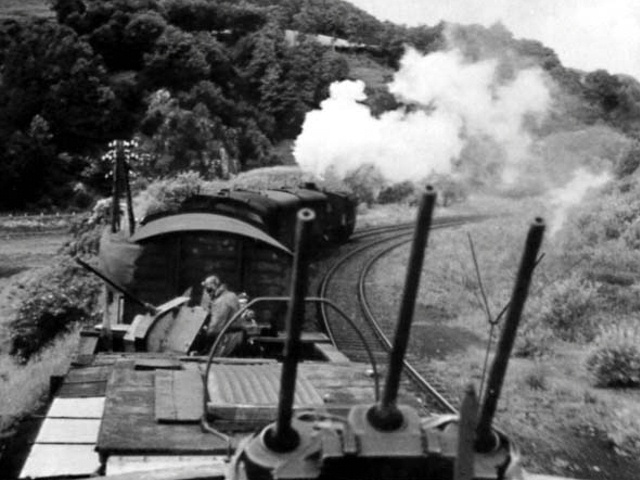 As a response for growing attacks of allied fighter-bombers on German trains German built several marks of anti-aircraft wagons. 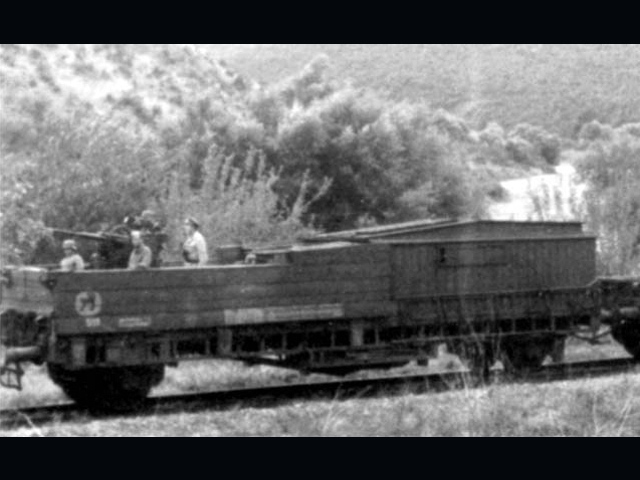 Such wagons were attached both to passenger or transport trains. 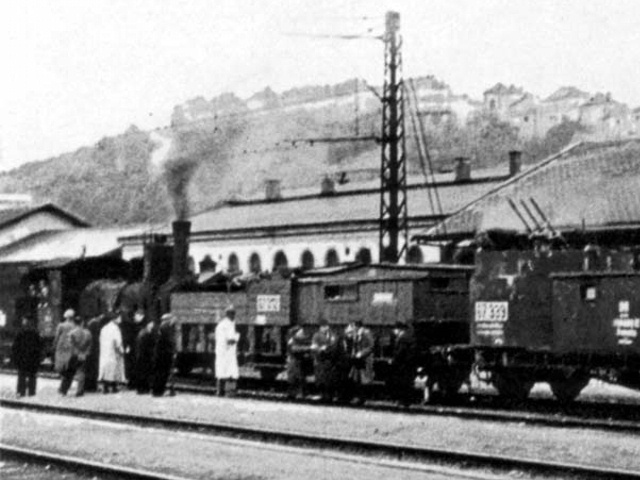 In May 1945 captured anti-aircraft wagons of all marks become base for improvised armoured trains of Czech patriots in Prague. 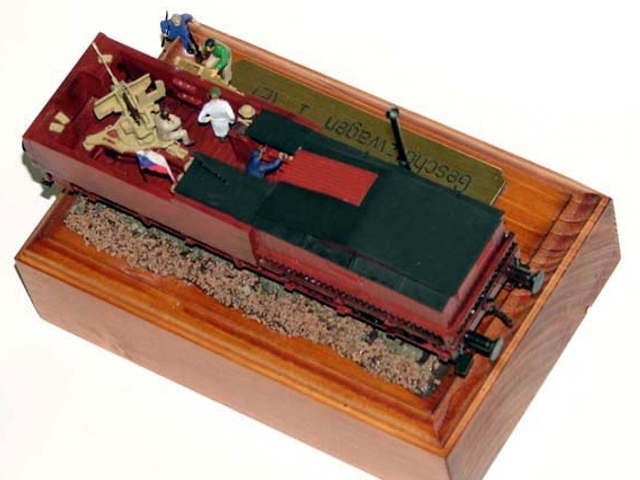 Model is based on Gattungsbezirk Linz wagon from Planet Models, Flak 38 anti-aircraft gun is from MAC with Schatton Modellbau barrel. 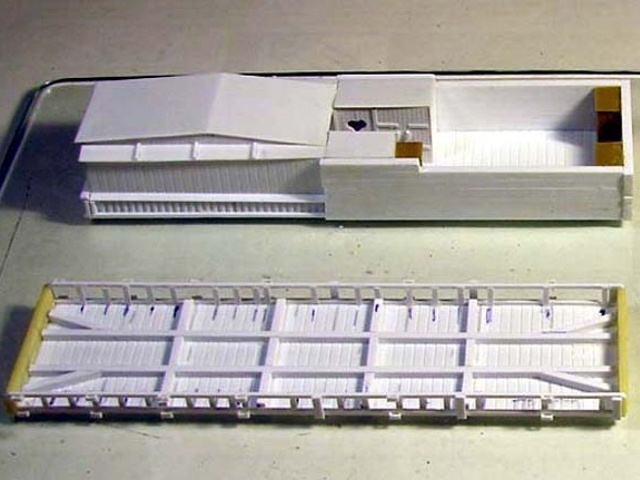 Board and superstructure is constructed from Evergreen Scale Models stuff. 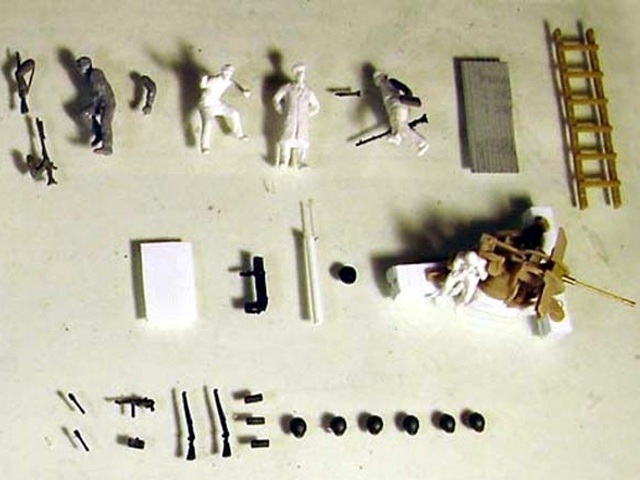 Figures are from Preiser and Hasegawa. 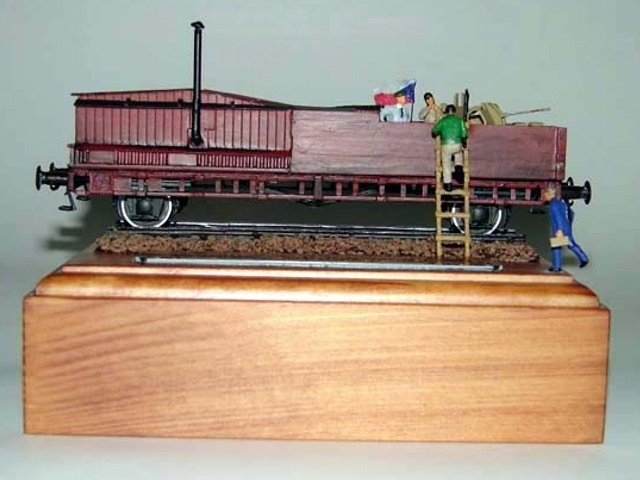 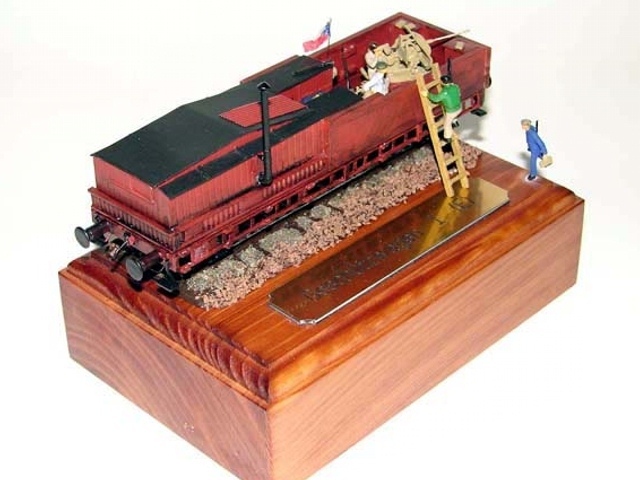 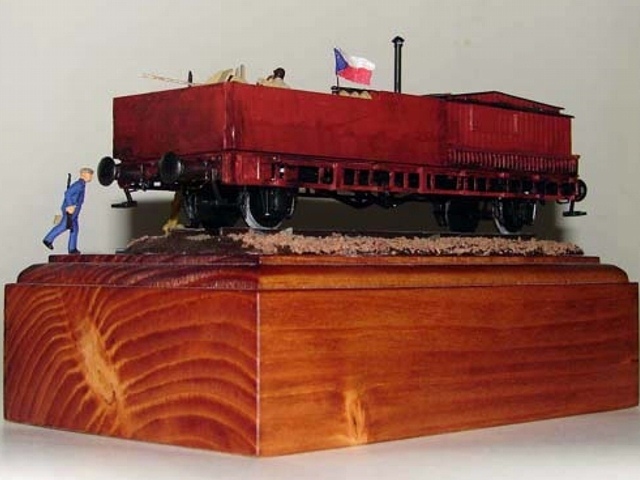 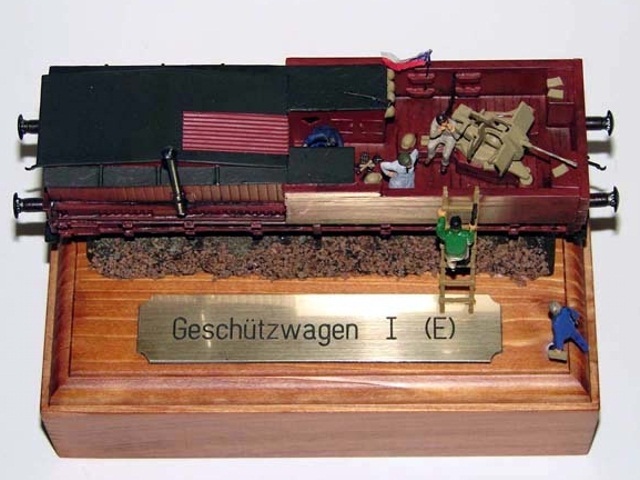 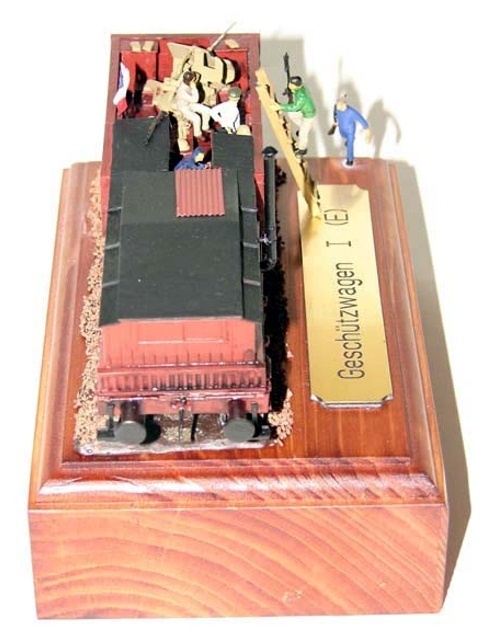 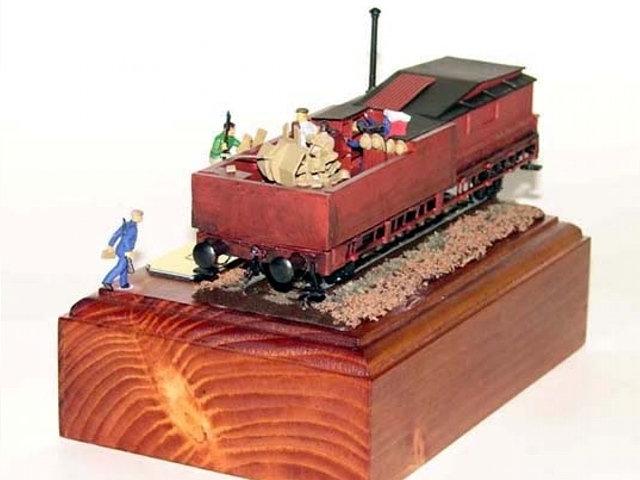 Sleepers are TP-Model resins as rails are styrene ones from RPM.